Digitally designed decorative bowl. 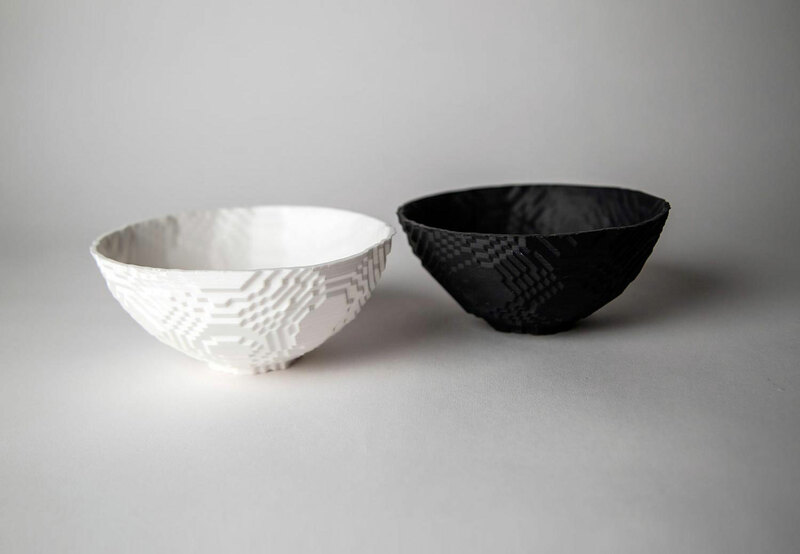 3D printed and handmade slip cast in bone china or black porcelian. 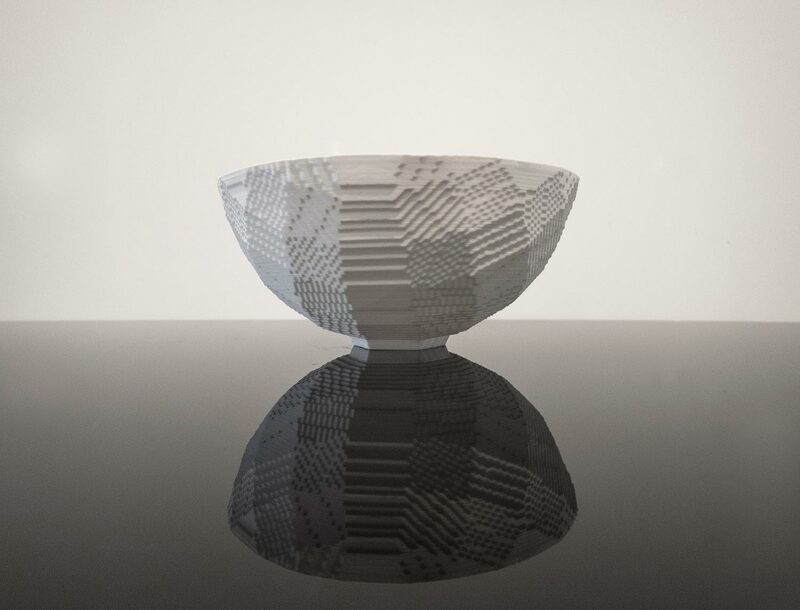 Choose either a ‘Hi-res’ (very detailed) or ‘Lo-res’ (more blocky) bowl form. Please email if any questions!